Hold on, guys - let me explain! I was given a copy as a birthday gift. It's two books away on my reading list. I'll get to it in due time. The question still begs: what took me so long? It's not that I avoided it. By all means, the premise is amazing. And while it has sci-fi elements, it's not the genre I write. I didn't start Harry Potter until the 4th book, either. Wait a second - there's more! There are tons of genres (and sub genres), right? Each are wonderful - and better when well written. If we know the genre (and market) we're writing for, it only makes sense to read what is selling in that genre/market. My recent WiPs are YA fantasy with fairytale elements and magical realism. Naturally, I read most of Shannon Hale, Gail Carson Levine, Patricia C. Wrede, and Jessica Day George (and others). Doing so helped me capture the setting, chemistry, and feel for such a novel. 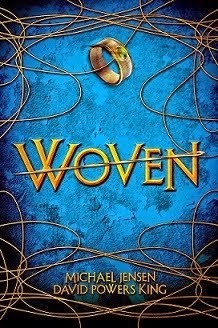 Woven had dozens of Beta readers. No one has not liked it (yet). Does this mean my homework has paid off? Am I off the hook for not reading the hottest book since sunburn? Since I write, I don't have the same luxury as a reader. I do read, don't get me wrong. 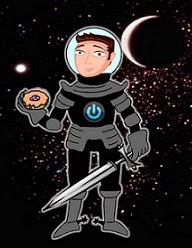 Before my writing began, I read a book a week - mostly sci-fi - with a penchant for dogfights in space (funny my first trilogy turned out that way ...). 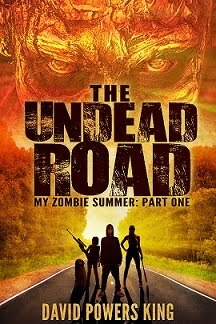 You can bet when I start writing zombies, I'll read zombie. When I begin a MG series, I'll devour MG. Write what you find interesting. Read what matches. Now, before Hunger Games, how big was the market for dystopia? George Orwell helped pioneer the genre. We have books like The Giver that helped maintain it. Now that The Hunger Games has had it's run, there are more new dystopia titles than I've ever seen in my lifetime, like Possession and Matched (wasn't too long ago when this was the case with vampires and werewolves ...). Now he's knocking Twilight - Get him! Next point: If we only read the kind of books we want to write, are we in danger of following trends? Not really, unless we take a popular book series, copy the formula, and present it as something different. Learning from books and maybe transcend the genre is more like it. That's always been my goal - learn about, know my audience, and write something new (and good). But for extra credit, we can read genres we don't write. Have you noticed my recent book reviews are not my genre? Contemporary? Urban fantasy? Not my bag, but I still liked and learned a lot from them. I didn't think for a second that I would enjoy reading YA fantasy until my wife challenged me to write one. Guess what? I love it now! And I might just be the only guy writing fairy tale-like fantasy? Is that stopping me? No way. Maybe, just maybe, I have something unique to con-tribute. You know what? I bet you do, too. Reading leads us to books we want to write. Let's wow the world together! We're good now ... right, guys? This is not the rule, just my thoughts on the matter. Time isn't always on an author's side, making regular reading tough. Choose wisely. Pick books that interest you and don't worry if you haven't read the popular favorite. It's not like its going away anytime soon. I'm David, and guess what comes out in 360 days? Yes. It's a fan trailer. But still! I haven't read The Hunger Games yet either. I own a copy, but I haven't cracked it open yet. Excuse me while I start running myself. I'm so glad you mentioned The Giver. It's one of my favorites. So good. I have read The Hunger Games. I would recommend it. But I can't wait for the Ender's Game movie! Woohoo! I haven't read the books either, but young adult isn't a genre I read. I read my first memoir last year - Karen Walker's Following the Whispers - and was surprised how much I liked it. I try to branch out in reading other genres than I write too. Mostly I go by recommendations. That way I know I'm getting the best of the best of that genre, or supposedly so. For me, I just read what interests me at the time, not necessarily because I'm writing something in that genre. Although I'm trying my hand at horror (eeek! ), but I'm a wuss and can't do scary movies anymore, and I'm not sure what YA horror books there are out there. I almost bought The Woman in Black to read, but chickened out at the last minute!! What am I thinking? Lol!! :D Good for you for doing your homework! And yay, sooo excited for the Ender's Game movie!! I try to read outside my genre as much as possible, some of my favorite authors are literary authors/or science fiction. My roommate is a science fiction writer who pretty much only reads fantasy. p.s. I'm probably going to get crap for this, but oh well. Hunger Games wasn't all that well written. Haha, love the post. I read everything, just because I love to read. But when I'm struggling to write my genre, I focus. I think it's great to do both. Thanks for the post. I also didn't read Harry Potter until 4 or 5 books were out; and I just started reading the Hunger Games. I don't like jumping on a bandwagon. I totally agree with you on reading what you write. I try to do that as well. I was going to say! It's well done, but the voice of Scrimgeour at the beginning was a give away. I'm waiting to see Hunger Games because I'm hesitant to fall in love with the films because I was so disappointed with the last book. Hubby and I will watch it in a couple of weeks when things calm down. I'm going to see the Hunger Games next week. Hopefully... :) And you'd better get to reading those! They are awesome! It's okay David, I didn't read Harry Potter until ALL the books came out. I just happen to hear my niece talking about it right after Catching Fire came out. BTW, I read all over the place in YA. I think it gives me a good idea of everything that might be out there. Plus I can't stand too much of one thing. I have read only the first book of the Hunger Games and each Potter book twice. I read lots of genres though I write mostly MG fiction. You are my new writing mentor. So wise, oh DPK! "Reading leads us to books we want to write"
So true! There are so many books out there it would be impossible to read them all. so read the ones that work for you whether you're reading for the craft, the genre or just for fun. There are a lot of "popular" books I've never got around to. David, you've made my day. This post is too funny. I just read Hunger Games over the Christmas break. My daughter just read it last week. And my other daughter says she's not interested. I've never read Harry Potter nor Twilight. I tried, but I couldn't get into either of them. I read the Harry Potter books way out of order. It was something like 2,3,4,5,1,6,7. I hope you enjoy The Hunger Games when you get around to it. I know I did! I read mostly YA romance, but I write sci-fi. And I saw The Hunger Games, and it was single-handedly the most incredible movie I've ever seen. 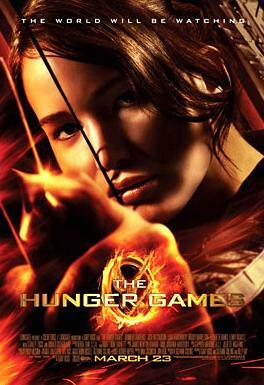 I'm looking forward to seeing the Hunger Games tonight. It looks like a great movie. Don't worry about not having read the book yet. I didn't read any of the Harry Potter books until I watched the first movie. You'll get to it when you have time. And I read pretty much anything that I think will enlarge me as a person. From biographies to fantasy to blogs. I believe if we don't read widely that we cannot fully capture the stories we want to tell. I resisted buying and reading them until just a couple weeks ago despite everyone I know telling me how incredibly awesome they are. Then as the movie got closer to being out, I realized that no way am I watching a movie without reading the book first. I was going to only read that first book, but, well it IS an incredible story and I couldn't help myself. I finished all three books in 3 days. I loved and hated them. Dystopian novels are not my general preference. The gut wrenching sadness and hopelessness I feel when I read them just isn't cool. So I usually avoid them. This one got me in the gut...as I expected it would. I had a hard time reading the 3rd book. It was fabulously written, and put my emotions through the ringer. Ugh. Great books. Great post! I did read the Hunger Games, but I can't say it was my favorite, and isn't really my genre of choice. I think that mostly reading what you want to write is a good way to keep yourself focused on your writing. And if not...well, you'll probably enjoy your forte more than another book that is outside of your norm. Ha, I can top you with ease. I haven't read The Hunger Games, Harry Potter or Twilight. Excuse me now while run away and hide. I write fantasy mainly, which is also what I read mainly, but I branch out into almost every genre in my reading matter. Ah, David. Having not read The Hunger Games is no crime. Not yet at least, unless the world turns upside down and decides that it is required reading for your citizenship. But I'd like to think we haven't gotten that far off kilter. Now, about Ender's Game. Fan trailer looked very nice indeed. I've only read the first book in The Hunger Games Trilogy . . . though that's because I didn't particularly enjoy the first. Am I totally, completely alone in that? Anyone, anyone? *fist pump* <----That picture was hilarious. I'm totally laughing! I haven't read it either so not going to see the movie until I do. I have this automatic desire to not like popular things. I had to work hard to overcome it. I didn't read Harry Potter until the 6th book. And I did it through gritted teeth... and I read all 6 books in about 4 days. I haven't read Hunger Games yet either. I'll get to it soon. Can't wait for Ender's Game...might have to read the book again! I haven't read The Hunger Games either; probably won't. Just like I haven't read Harry Potter or The Twilight series (I started the first book, then stopped. Just not my style of writing.) While I don't nomally read dystopian literature, I'm currently reading 1984. Orwell is a master. His writing style is amazing. While I have read the book (and liked it), I am not too excited to run and see the movie in the theater. Like most movies made from books, I know I will be a little disappointed. the theaters are just too expensive for me to be disappointed! It's okay not to read a book just because everyone else has. It just means you still have a treat to come! I haven't read the hunger games. I started to read it ... But couldn't get into it. I agree! It's so very important to be well-read in the genre we write, but it's also important to read in genres we DON'T write. There is something to be learned from every author. The more we read, the more we learn! Don't feel bad. I'm just now in the middle of the second book. And I only read the first one last week. I do plan to see the movie--hopefully while it's still in theaters. I put it off for a long time because it's not my genre and I had so many other books to read. But then the movie previews came out, so it was important that I read the book first. Now I'm hooked on both. Confession time: I never finished the Twilight Series and I've never read a Harry Potter book. I read non-fiction and biographies, well out of my writing genre. But I did like The Hunger Games, and I think you will too. Just not enough time in the day to do all the stuff we want.